Apple’s Campus 2, envisioned by Steve Jobs and sometimes referred to as their ‘Spaceship’ campus, is steadily progressing closer to completion after being approved by the city of Cupertino last fall. Norman Foster, the designer behind the campus, gives us a look into the planning process behind the creation of the project in an interview with Architectural Record. Inspired by Steve Jobs, the design of the campus is based on the Apple co-founder’s love of the Main Quad on the campus of Stanford University. The building is being built on land which was formerly maintained by Hewlett-Packard. 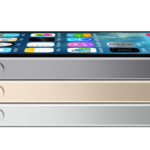 It’s interesting how it evolved. First of all, there was a smaller site. Then, as the project developed, and the Hewlett-Packard site became available, the scale of the project changed. Meanwhile, the reference point for Steve [Jobs] was always the large space on the Stanford campus—the Main Quad—which Steve knew intimately. Also, he would reminisce about the time when he was young, and California was still the fruit bowl of the United States. It was still orchards. 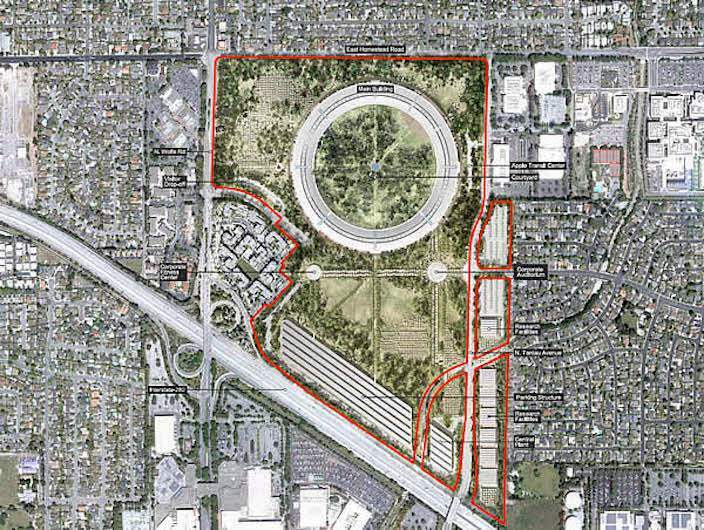 The mockup diagram, found on Cupertino.org, shown below offers an arial view of the campus, with a notable amount of nature space. 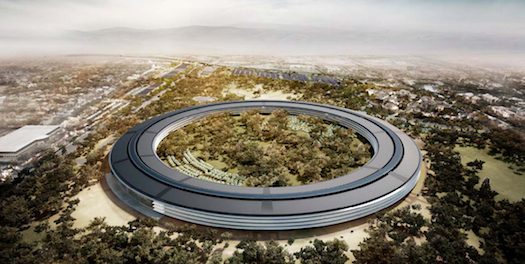 Steve’s memories of California’s orchards in his youth resonate with the design of the new Spaceship-like campus, bringing plenty of outdoor space for employees to enjoy. Of course, you have got an enormous range of skills in this building—from software programmers, from designers, marketing, retail—but you can move vertically in the building as well as horizontally. The proximity, the adjacencies are very, very carefully considered. Remember also that the scale is broken down by cafés and lobbies and entrances. Then, a significant segment of that circle is the restaurant, which opens up to the landscape. You have four-story-high glass walls, which can literally move sideways and just open up into the landscape. So the social facilities break down the scale. And of course you have the benefit of jogging and cycling trails—more than a thousand bikes will be kept on the site—and also pathways and landscaping connections. The interview with Foster provides a deeper understanding, from a designers point of view, as to why certain decisions were made. The project, dating back to Jobs’ presentation to Cupertino’s city council in early 2011, is expected to be completed in 2016.